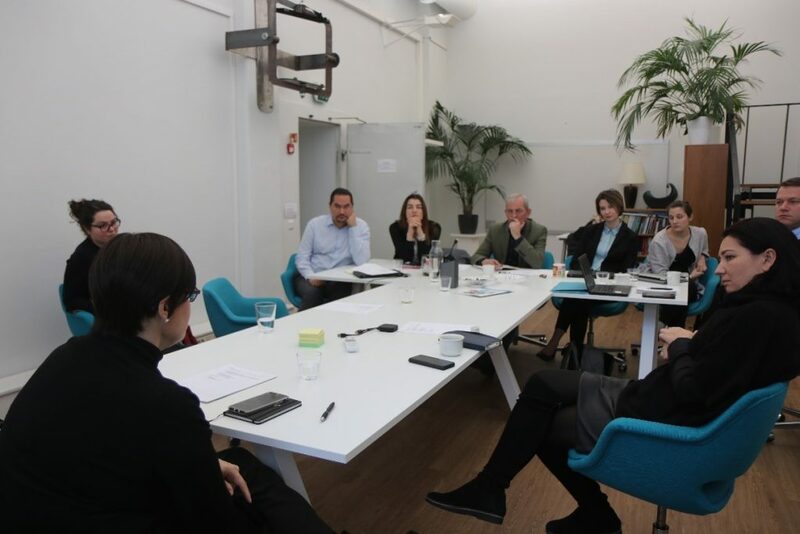 On January 14-19, 2019 Eurasia team members from all over the region traveled to Helsinki for meetings at CMI Headquarters focused on planning the team’s work in 2019. Eurasia team discussing 2019 plans with CMI Executive Director, Tuija Talvitie (left). At this occasion, Eurasia team members met with CMI Chair, Alex Stubb and CMI Executive Director, Tuija Talvitie. Eurasia team also worked closely with CMI Programme Management Office team (PMO), as well as its Communication and Finance & Administration teams. CMI has been involved in the Eurasia region for over a decade. In 2019, its work will focus on supporting the peaceful settlements of the conflicts in and around Ukraine, on the Transdniestrian settlement process, on the conflict over Nagorno-Karabakh and in Georgia. Additionally, Eurasia team works closely with regional and international organisations involved in these processes such as the Organisation for Security and Co-operation in Europe (OSCE) and the European Union (EU), as well as with key regional actors. In 2019, will support the efforts of the Slovak OSCE Chairmanship and continue to support cooperation between the different international mediation actors in Eurasia. 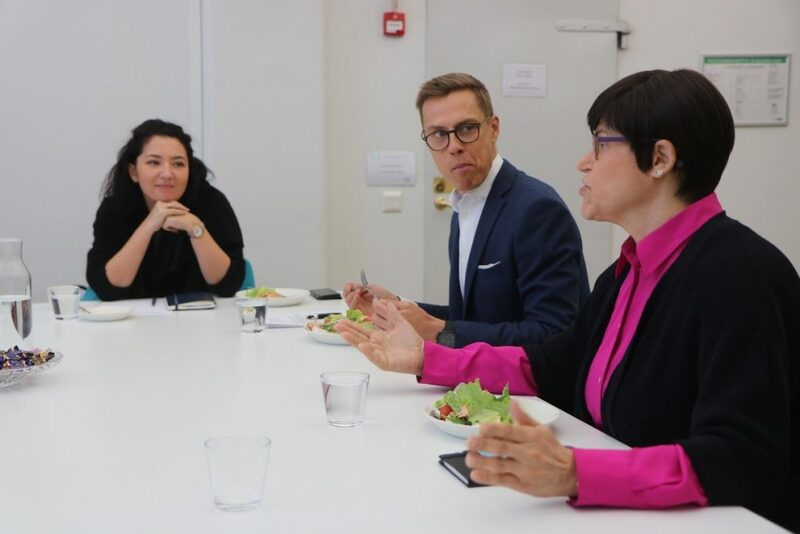 Eurasia Programme Head, Roxana Cristescu (left), CMI Chair, Alex Stubb (center) and CMI Executive Director, Tuija Talvitie (right). From left to right: Denis Matveev (Eurasia Senior Advisor), Irma Pidtepa (Project Officer), Stephen Young (Programme Advisor) and Natalia Djandjgava (Project Officer). Second photo: Lucile Bardin, Project Assistant (left) and Marie-Charlotte Forgeron, Project Manager (right).